350 Las Olas Place is a downtown contemporary masterpiece of Fort Lauderdale Real Estate. 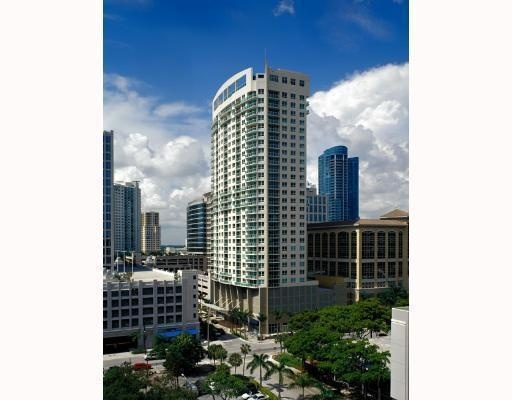 350 Las Olas Condominium is a featured downtown property of the Fort Lauderdale Real Estate market that has experienced a boom of contemporary design throughout the last decade. 350 Las Olas is a Ft. Lauderdale Condominium that truely celebrates this contemporary spirit. 350 Las Olas Place is a beautiful Ft. Lauderdale Condo located in the heart of the famous Las Olas Blvd. A downtown shopping district where everything Ft Lauderdale has to offer is at the door step for residents of 350 Las Olas Place. Browse current listings below, or read more about 350 Las Olas Place. 350 Las Olas Place is a luxury contemporary Ft Lauderdale Condo building of 30 stories located just off Las Olas Blvd. Shopping, coffee cafes, boutiques and some of the best restaurants in Ft Lauderdale are all within walking distance of 350 Las Olas Place. A truly unique Fort Lauderdale Condominium with a roof top infinity edge pool and health club. 350 Las Olas Places roof top amenities look out over down town Fort Lauderdale, and the vista includes views of the Atlantic Ocean. Views also include Fort Lauderdale's New River and Las Olas Blvd which lights up each evening. Every unit has a spacious balcony with glass railings and interiors feature high end finishes throughout. Looking for city living at its best you can find it at 350 Las Olas Place. Eric Miller and Associates, are always available to help you buy or sell real estate in the Fort Lauderdale Real Estate market and will be happy to show you 350 Las Olas Place. You can Contact us directly at (954) 383-8170.